I am the “place of reeds and rocks”. I am the eastern sunrise over the ocean. I am the world renowned coastal resort. I am the epitome of fun, sun and sea. I am the upmarket apartment blocks of Umhlanga. I am Umhlanga agent, Daya Sukhdeo. Hello, I am Daya Sukhdeo and yes, I am Pam. It means the blood that flows through our veins is green. We are stewards of what you value. We are your bridge between work and rest. Your hunter of dreams. Your wisdom of the past and counsel for the future. Your realty guru in an ever-changing world. Get in touch and let’s discuss how I can help you with your property requirements. 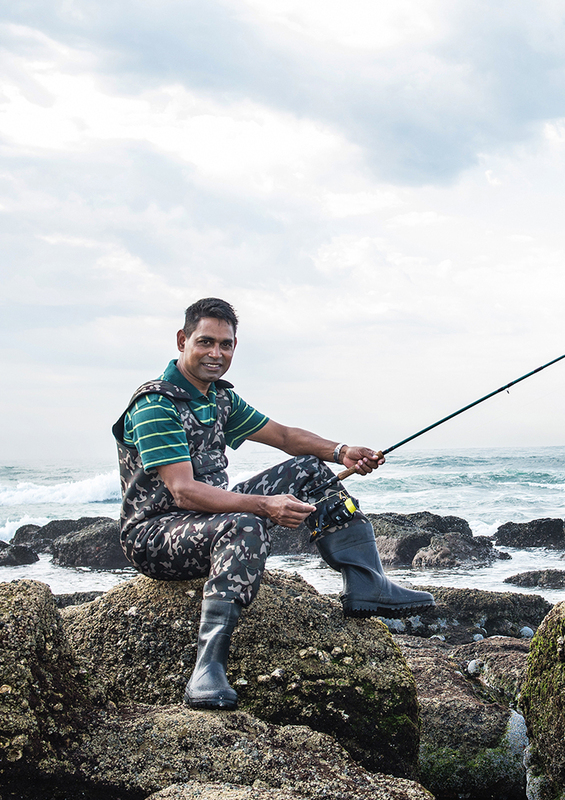 Work and relaxation are a coherent integration, whether I am watching my son play cricket, catching the sunrise on the nature trails in Hawaan Forest, fishing on the Umhlanga Lighthouse rocks or snorkelling in the Umdloti Ocean, I live and breathe an integrated work and family life. The Durban North golf estates and Gateway apartments are my amphitheatre. Let me help you find a home in which to live this experience. As a young accountant, I made the assessment that property investments would be amongst the passions I would pursue as I stride through life. It has always been my dream to own a piece of the earth, to take care of it and leave it as an inheritance for my children. When looking for someone to help me comprehend this, I chose the Pam Golding Properties team to help me find my “Patch in Africa”. It was on natural that I would choose Pam Golding Properties to be my channel to fulfil my dream in assisting clients in finding them their dream homes. I wrote the Real Estate Board Exam as an elective in my B Comp Degree with UNISA, knowing that this path would lead to my passion of the property business. A few years in the corporate environment, spent in South African boardrooms of one of Britain’s most admired facilities maintenance company, a regional merger and acquisition of South Africa’s top automotive battery brands, have all been the training grounds for good investment and sound advice. My most notable moment thus far has been keeping my promise to a young woman who wanted to sell her beachfront apartment within 14 days. With the help of my team we sold it in 13 days. Pam Golding Properties is proud to present Le Boulevard, a designer residential apartment block in the heart of Umhlanga Rocks. This modern development with its stylish architecture and elegant design offers 1, 2 and 3 bedroom apartments, as well as penthouses. This is an excellent buy in a prime area with good capital growth and rental returns.